The Comfort Inn Tacoma - Seattle hotel in Tacoma, WA near Pacific Lutheran University will get you rested and ready for anything. 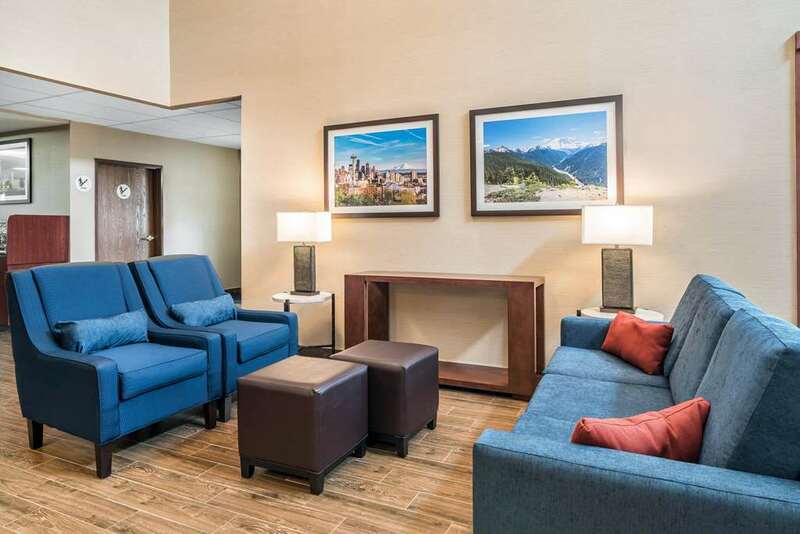 This hotel is near attractions like Tacoma Mall, Tacoma Dome, Puyallup Fair and Events Center, Wild Waves Theme Park and Point Defiance Park and Zoo. Greater Tacoma Convention and TRD Center is also close. Take advantage of free hot breakfast, free WiFi, business center, free weekday newspaper and our 24-hour guest laundry facility. Rooms include coffee makers and hair dryers. Some rooms have desks, microwaves and refrigerators. Also, earn rewards including free nights and gift cards with our Choice Privileges Rewards program.